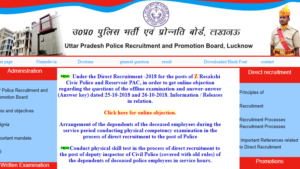 UP Police Official Website – www.uppbpb.gov.in, prpb.gov.in 2019 Admit Card – There are two major different official websites of the Uttar Pradesh Police department – one for general updates of UP Police that is www.uppolice.gov.in and another one for Uttar Pradesh Police Recruitment and Promotion Board, Lucknow, Uttar Pradesh. www.uppbpb.gov.in is the official web portal of latter. There is also an official Mobile Application of Uttar Pradesh Police Department, which you can check online. 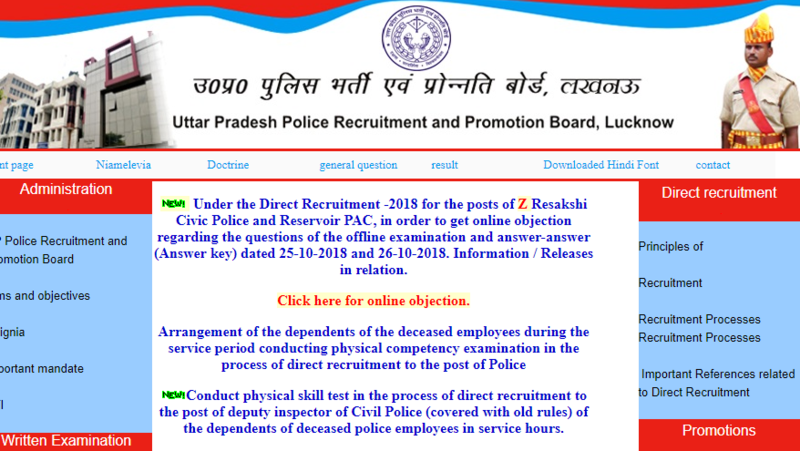 www.uppbpb.gov.in contains the latest news as Arrangement of the dependents of the deceased employees during the service period conducting physical competency examination in the process of direct recruitment to the post of Police AND Conduct physical skill test in the process of direct recruitment to the post of deputy inspector of Civil Police (covered with old rules) of the dependents of deceased police employees in service hours AND For conducting physical competency examination in the process of direct recruitment on the post of employee employee of the employees of the deceased police radio department employees during the service etc.